Dr. Antonio Alcaraz Asensio received his medical degree in 1983 and completed his doctoral thesis in 1987, both at the University of Barcelona. In 1988, he obtained the specialty of Urology after 5 years of residency in the UrologyDepartment of Hospital Clínic de Barcelona. A one-year period as Research Fellow was followed by a second 18 month term (1993-1994) at the Mayo Clinic in Rochester, Minnesota, Department of Urology, and then the Hospital Clinic,until 2001. He has also been head of the Renal Transplant Surgical Unit andClinical Chief of Urology Service of the Fundació Puigvert. Since February 2005, he has served as Chief of Urology, and is also currently theProfessor of Urology at the University of Barcelona. He has been coordinator of the National Lung Transplant Group of the Spanish Association of Urology (2004-2008) and is currently Secretary General of the Spanish Association of Urology. The main areas of research for Dr. Alcaraz are uro-oncology, laparoscopic surgery and transplant surgery. He has authored more than 90 international and51 national publications, and has lectured at numerous national and international forums. 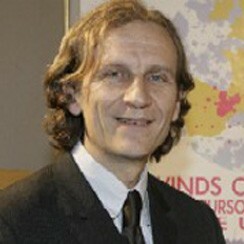 He has received several research grants from the Spanish government. Dr. Alcaraz is also a Board Member of the European School of Urology (ESU), theAmerican Urological Association, and serves on the Board of the Editorial Committee of European Urology, the most respected Journal of Urology, as well as being a professor of the European School of Surgery and a member of Scientific Committee of the European Association of Urology.